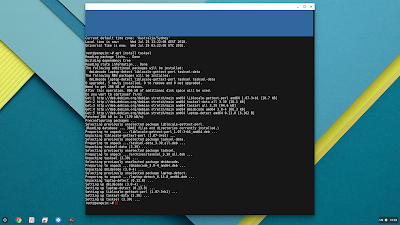 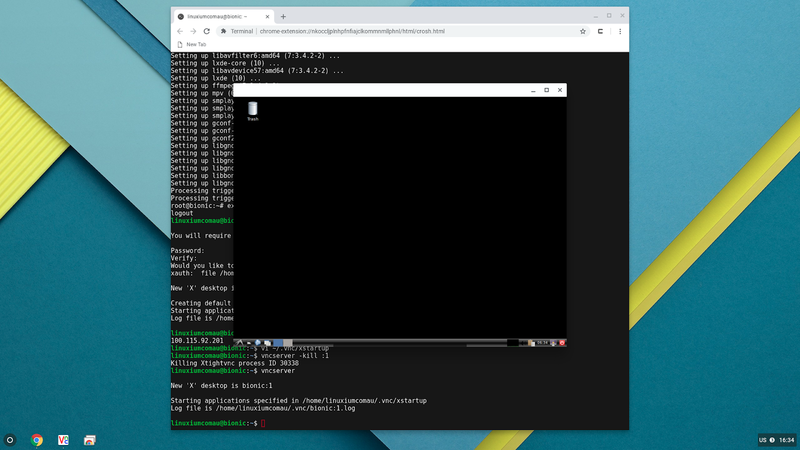 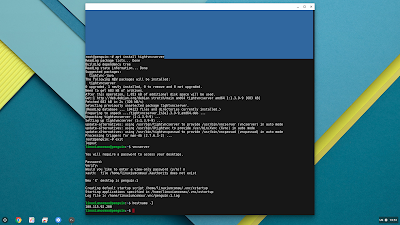 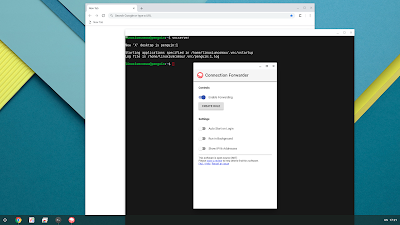 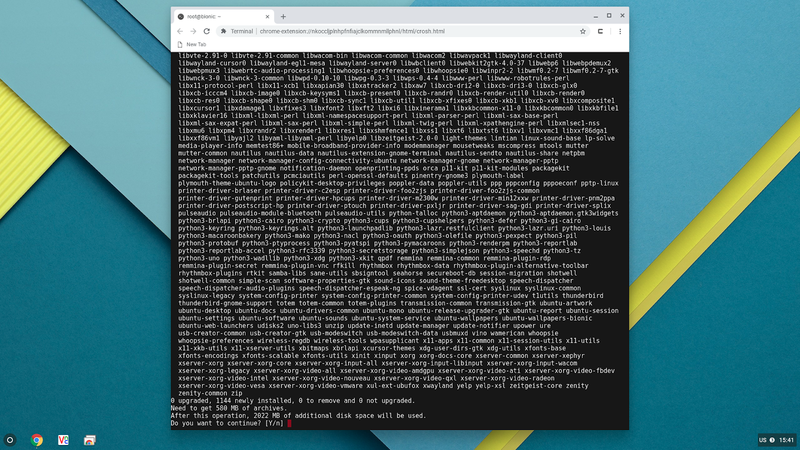 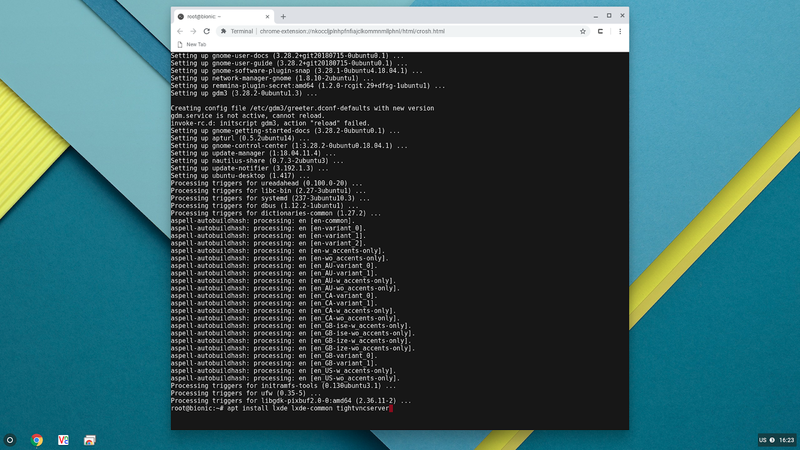 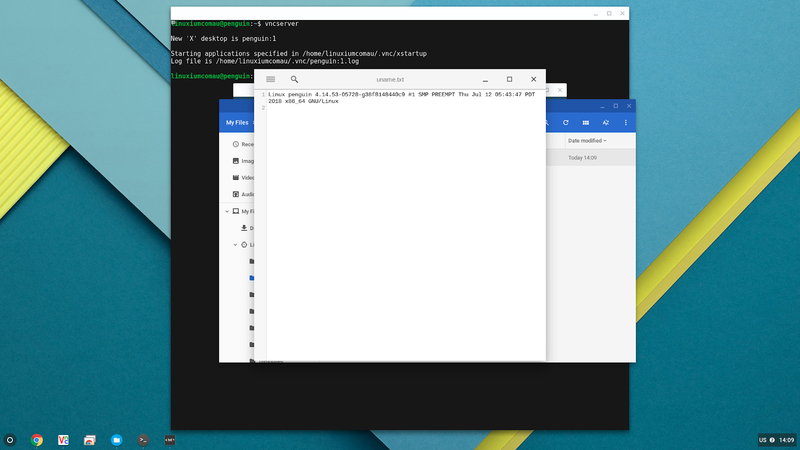 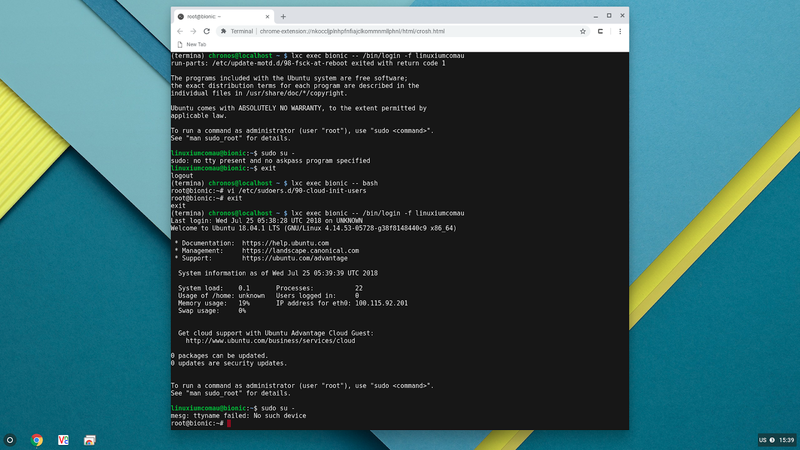 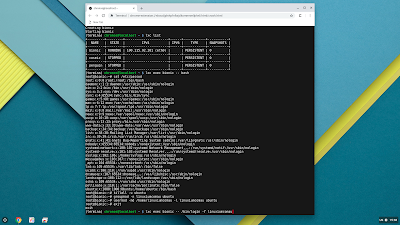 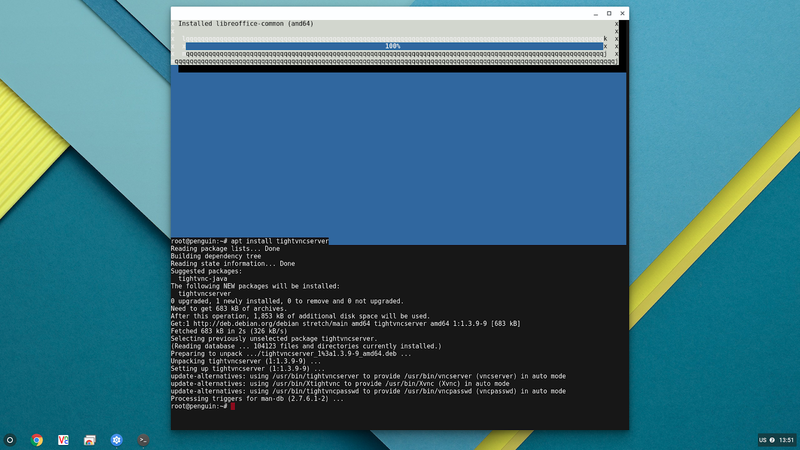 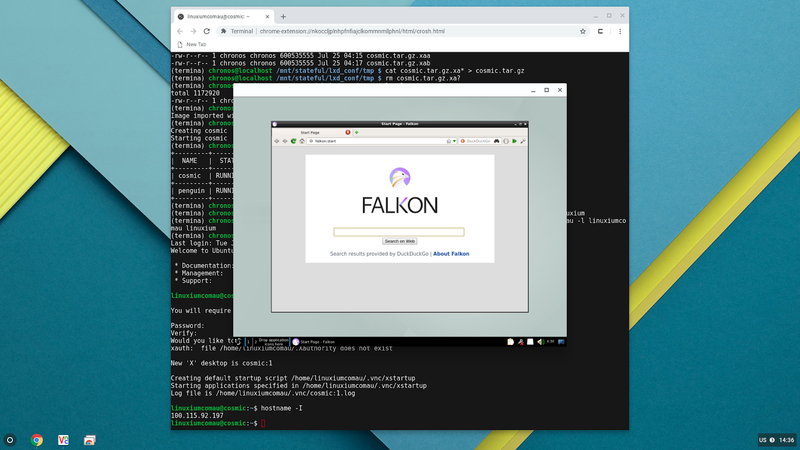 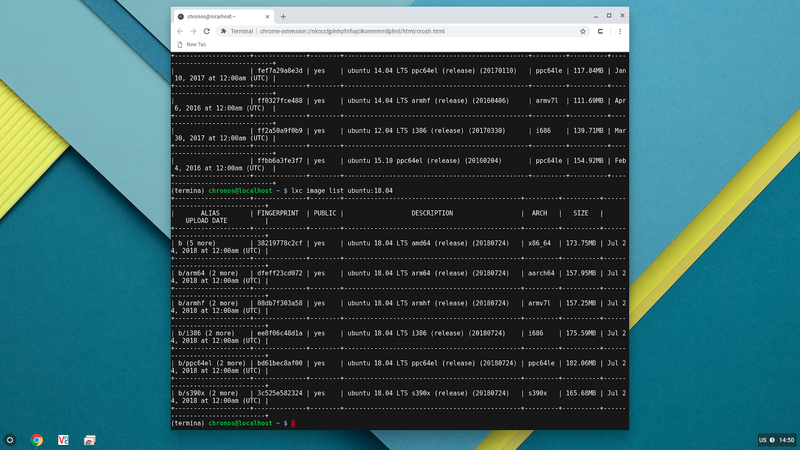 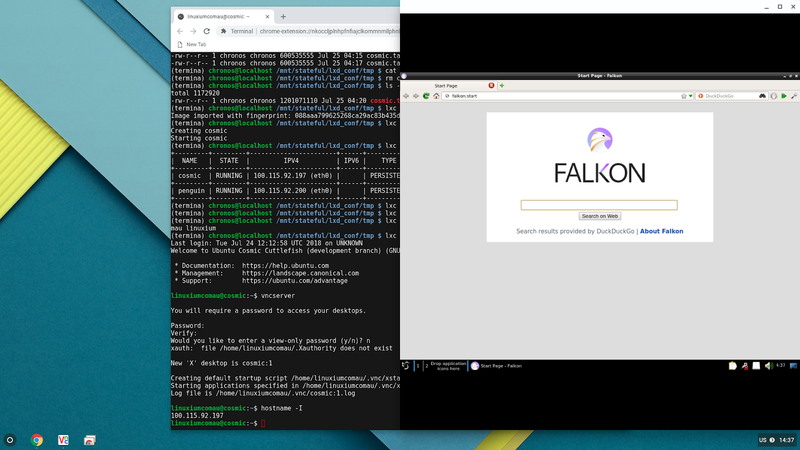 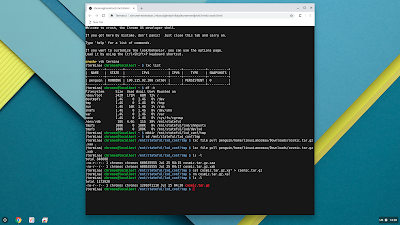 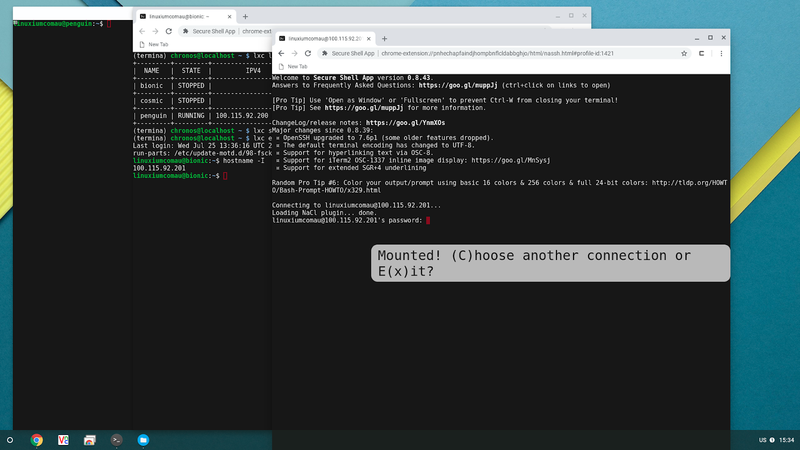 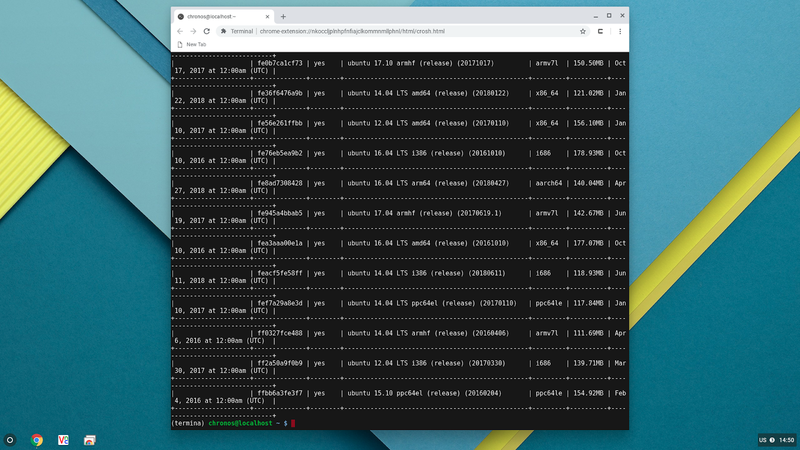 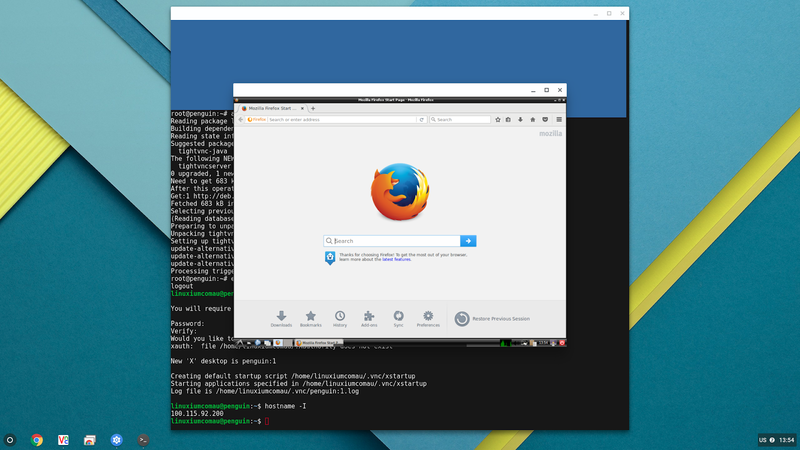 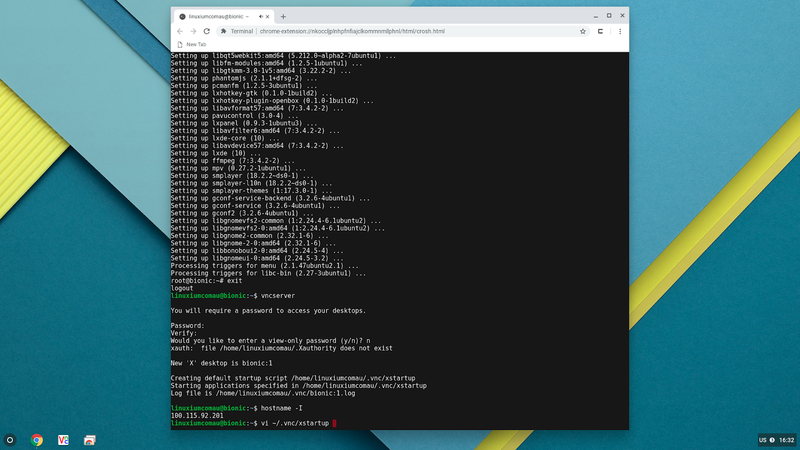 In Part 1 I've provided a brief introduction to what Crostini is (essentially running Linux on a Chrome device) and in this part I'll cover how to use Crostini on non-Chrome device. 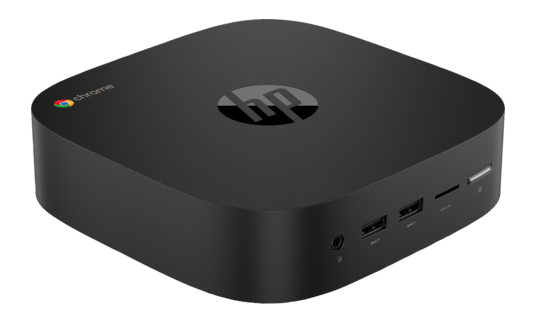 I'm using the VORKE V5 Plus which I reviewed here as the hardware is almost identical to the official HP Cromebox G2 that has recently been released and official supports Crstini. 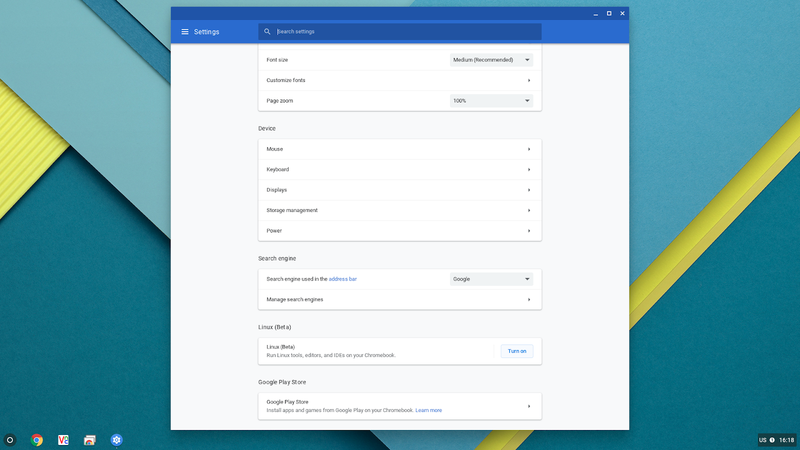 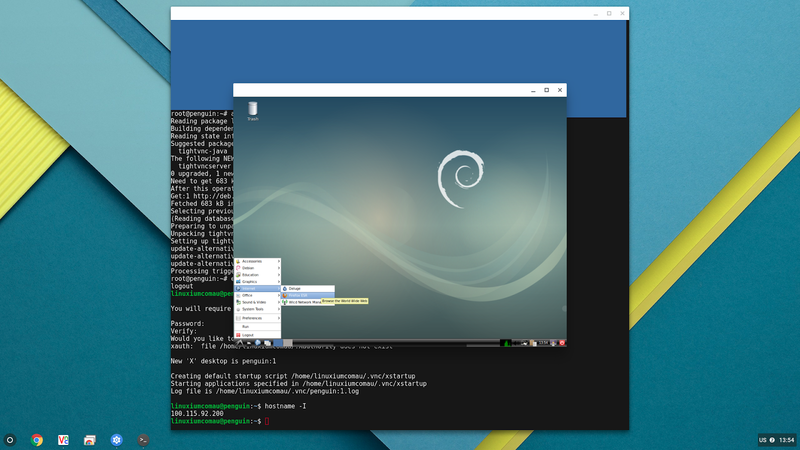 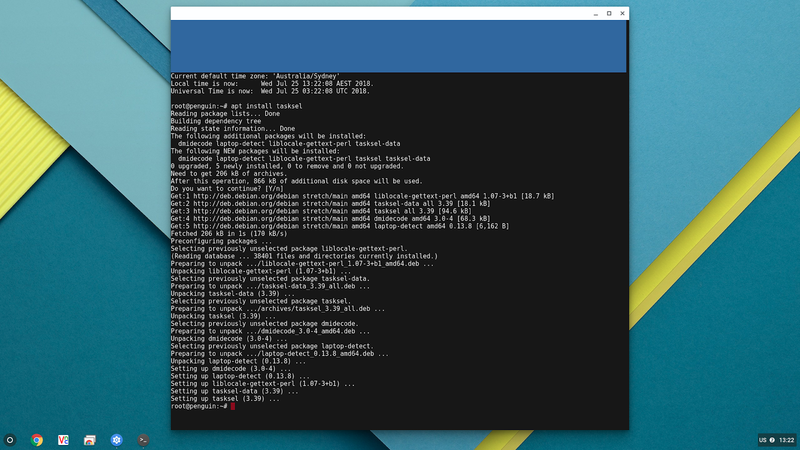 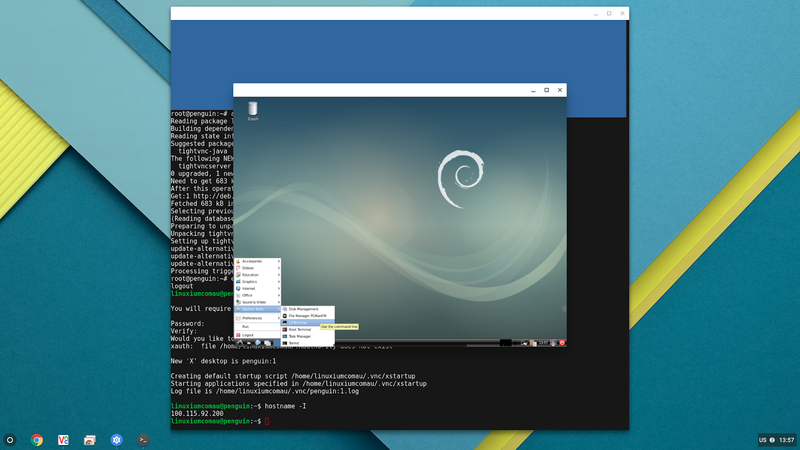 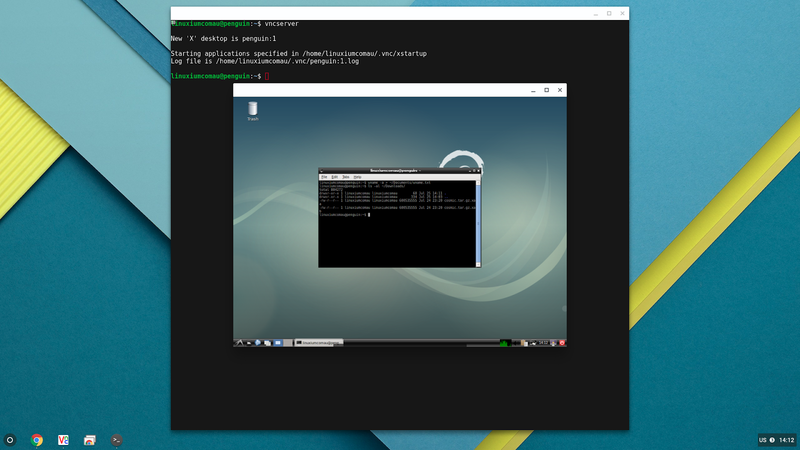 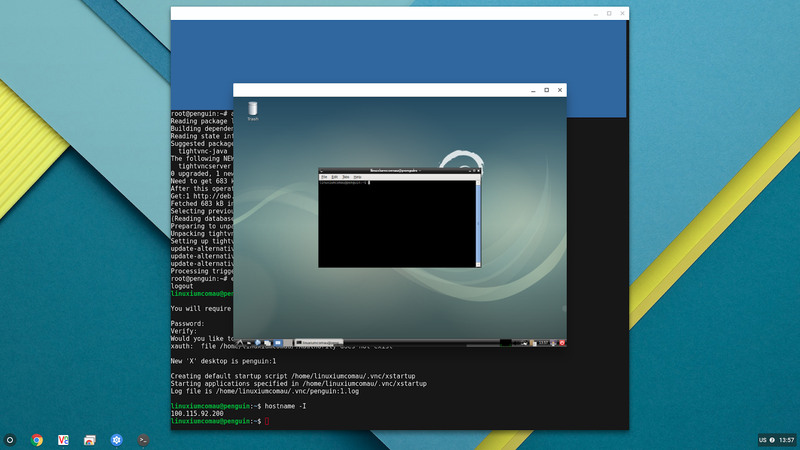 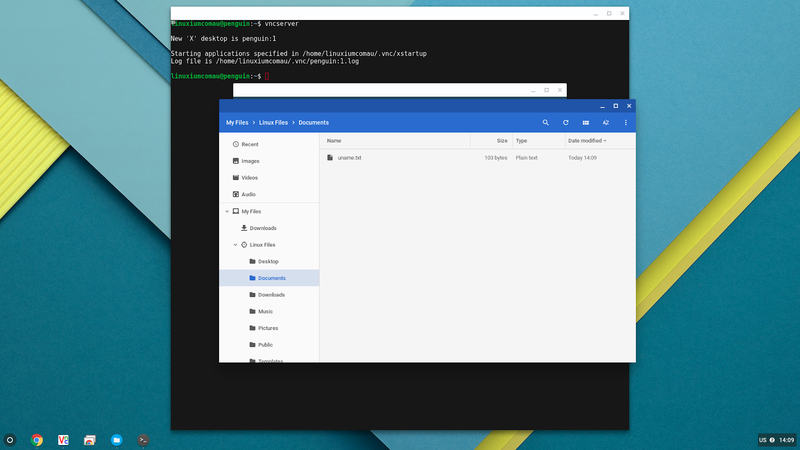 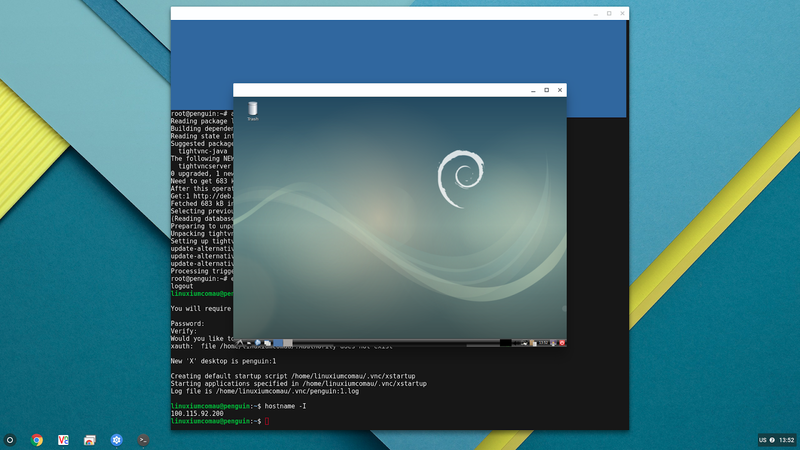 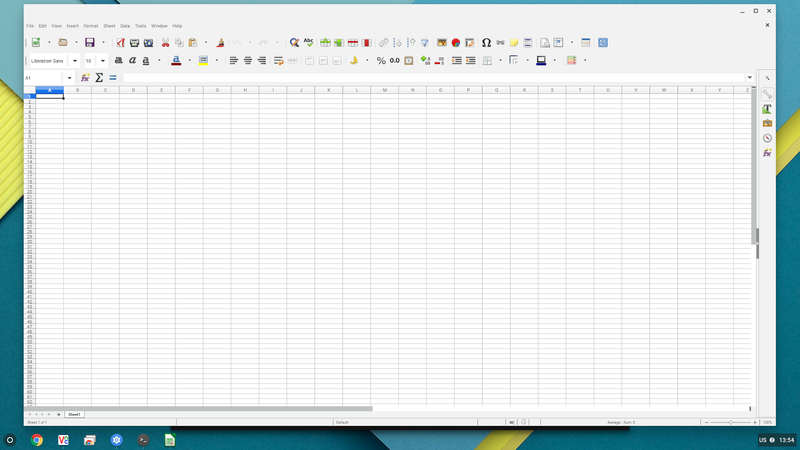 What's the difference between Chromium OS and Chrome OS? 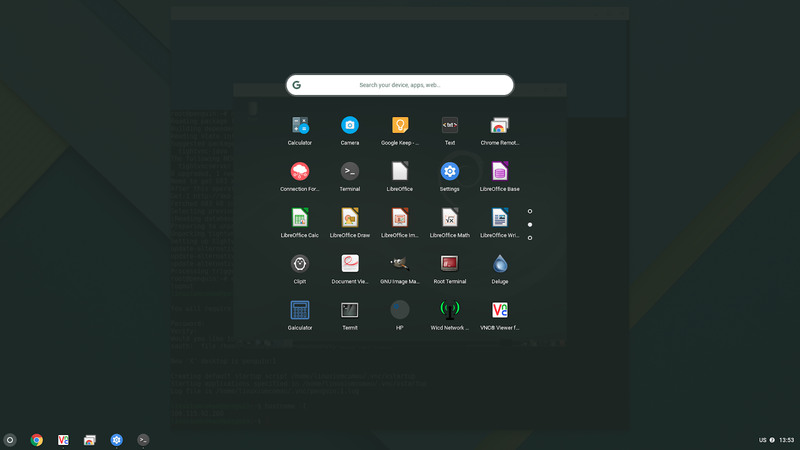 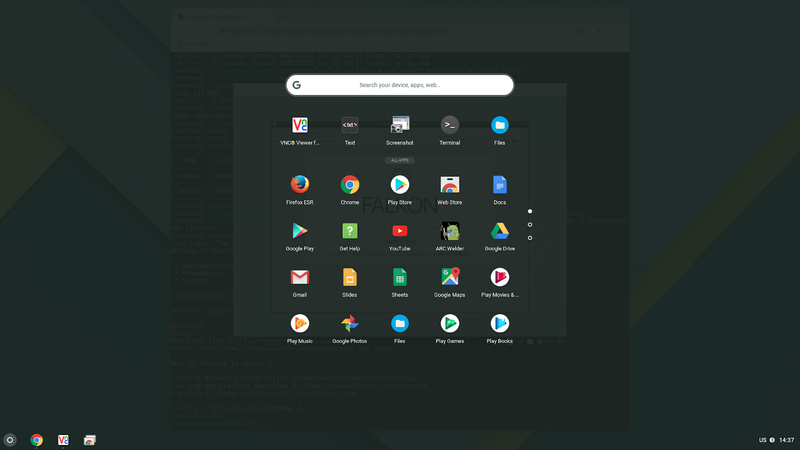 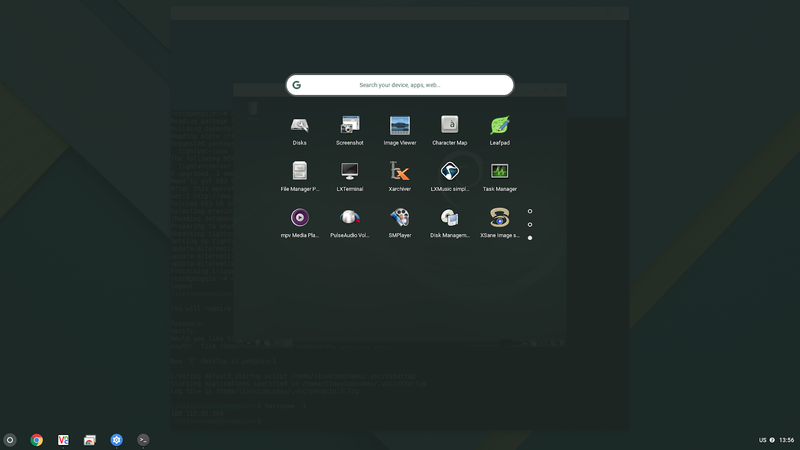 The official definition is that Chromium OS is the open source project with code that is available for anyone to checkout, modify, and build whereas Chrome OS is the Google product that OEMs ship on Chrome devices for general consumer use. 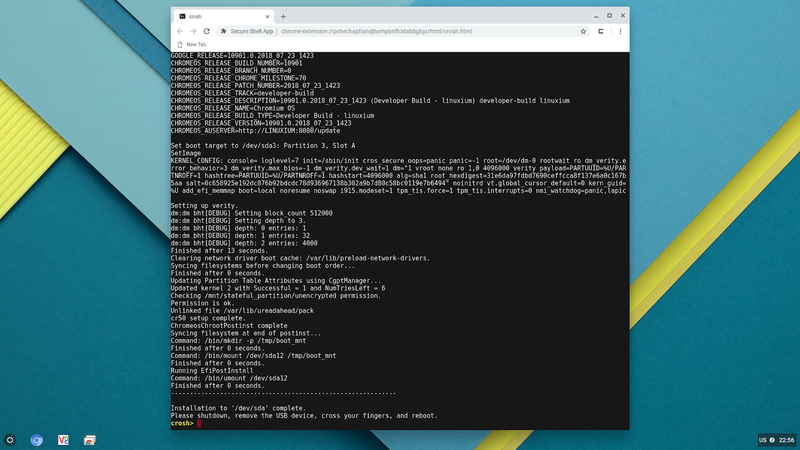 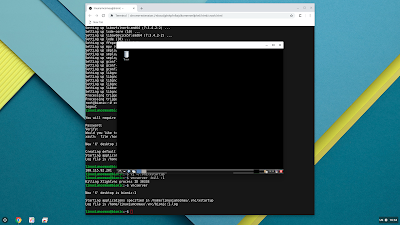 There are some specific differences in that whilst the two projects share the same code base, Chrome OS has some additional firmware features including verified boot and easy recovery, which require corresponding hardware changes. 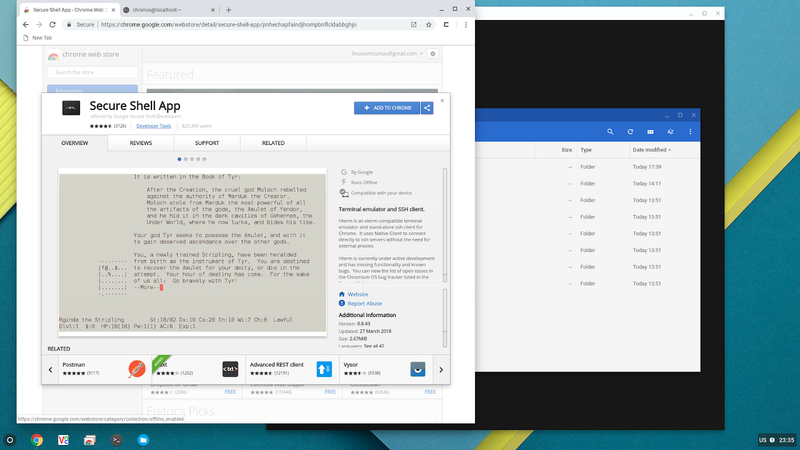 It also includes some binary packages which are not allowed to be included in the Chromium OS project such as Adobe Flash, Widevine CDM plugin and Android (ARC++) container for running Android apps. 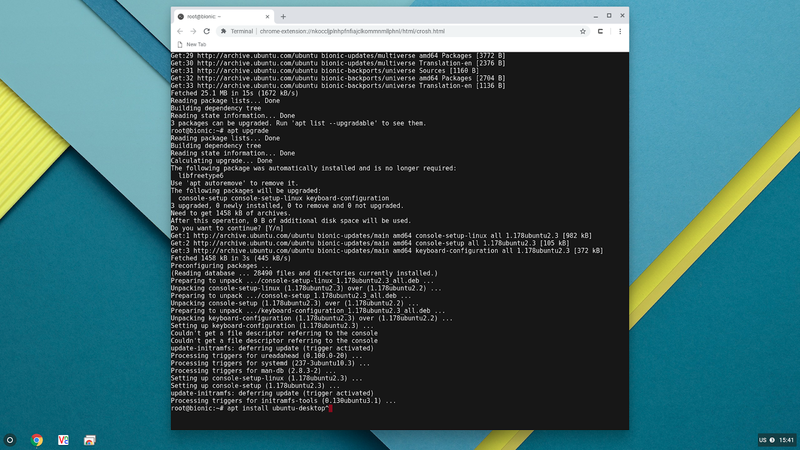 Chromium OS does not auto-update by default whereas Chrome OS seamlessly auto-updates so that users have the latest security fixes and features. 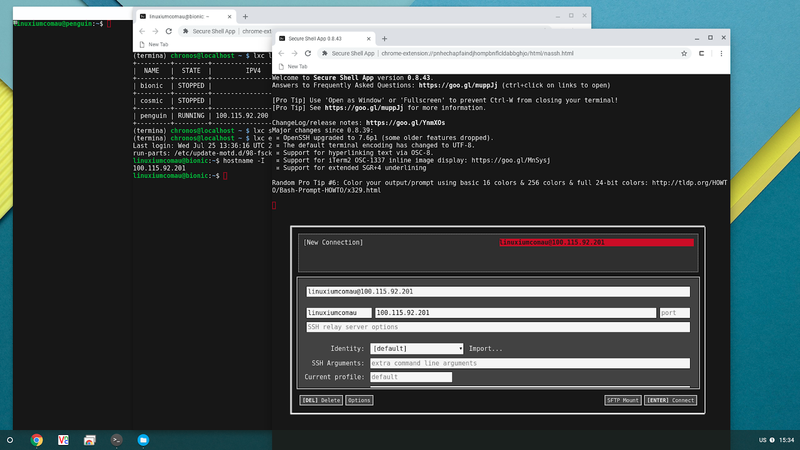 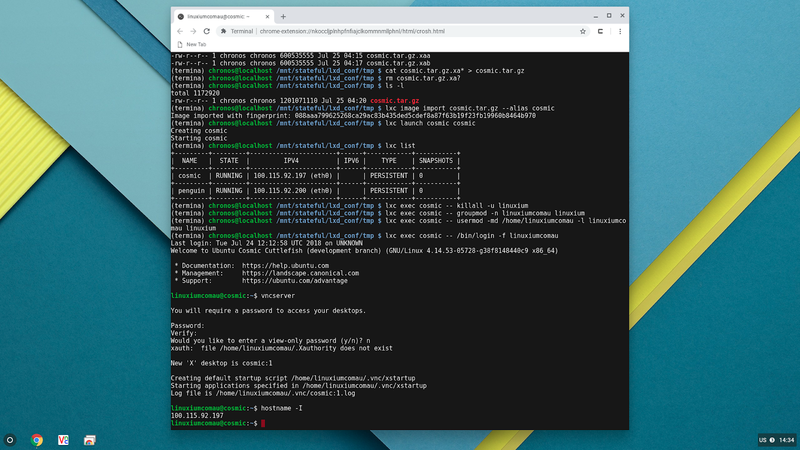 Chrome OS also ships with its own set of API keys while Chromium OS does not include any as developers are expected to set up their own when building it. 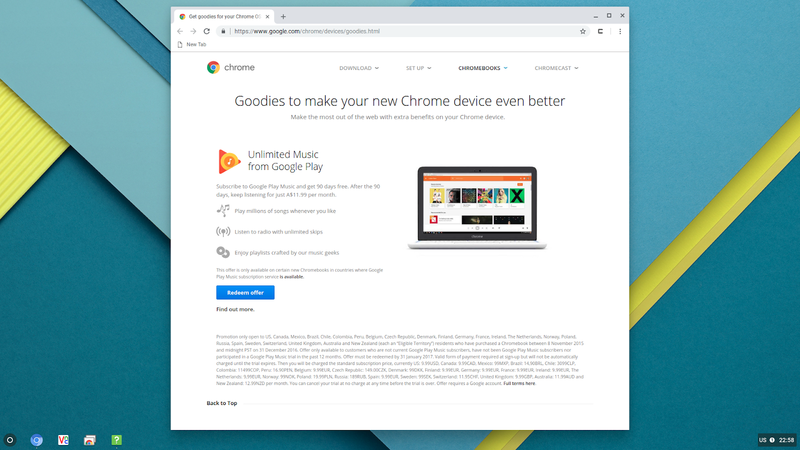 Finally the most obvious physical difference is that the Chrome browser has a green/yellow/red logo while Chromium (the equivalent Chromium OS browser) has blue/bluer/bluest logo. 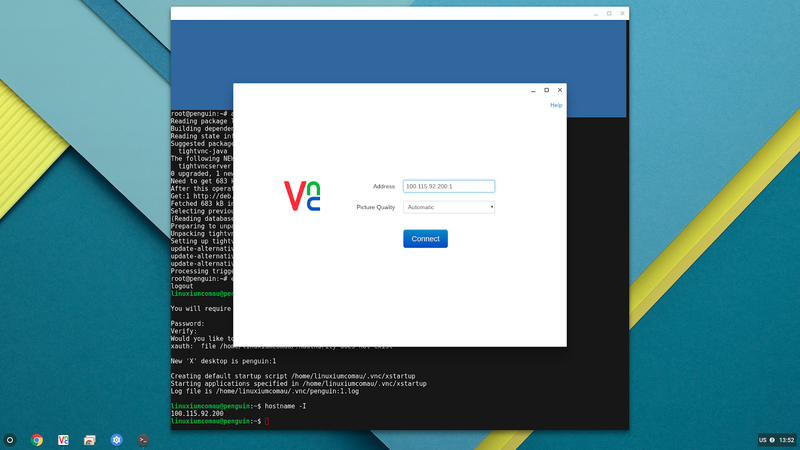 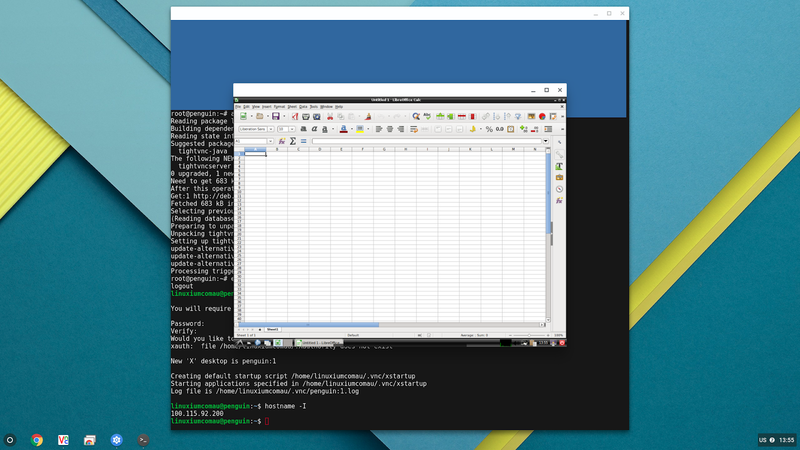 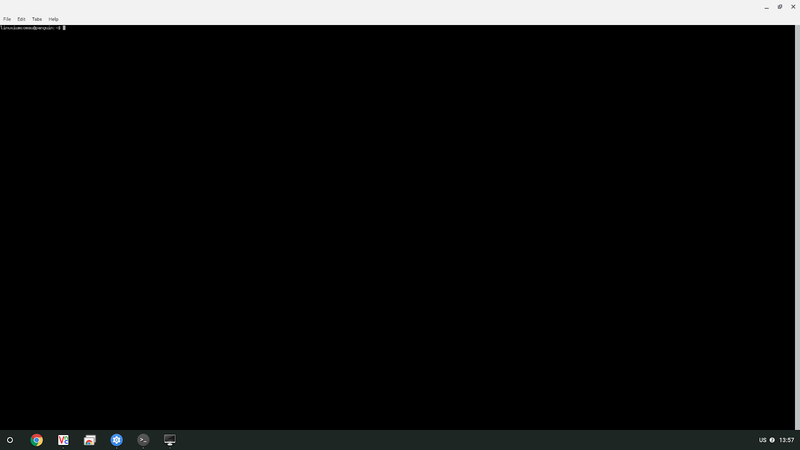 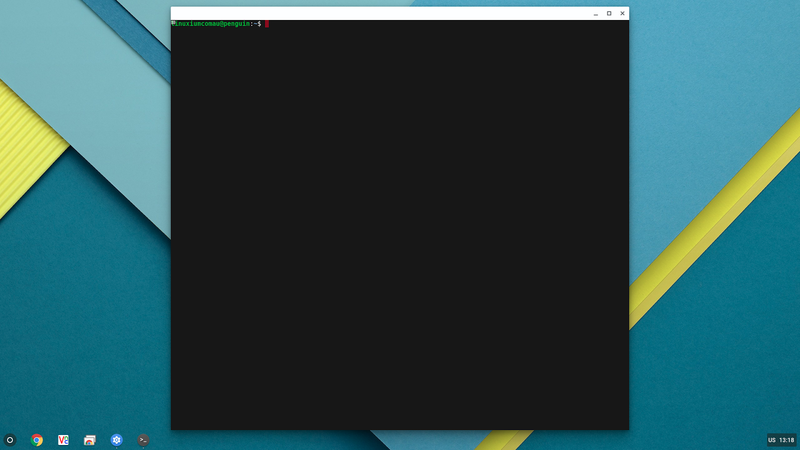 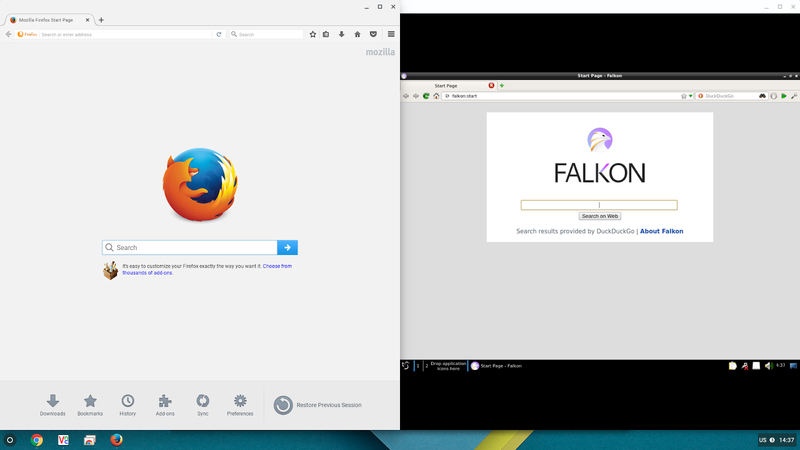 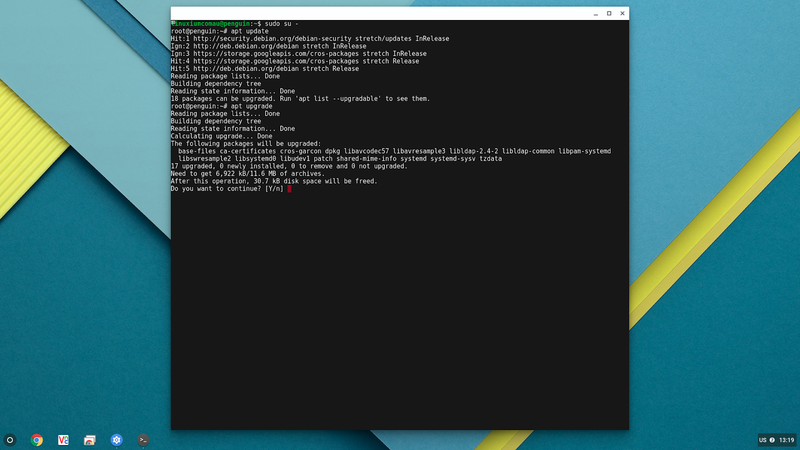 In order to get Chromium OS to work on the VORKE V5 Plus I've built the OS using a custom overlay to fix display. I've also not yet addressed audio as it is not required for Crostini given it is unsupported in the official version. First download the image from here and write it to a USB using 'dd' to create a Chromium OS LiveUSB. 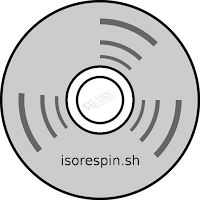 Insert the LiveUSB into the VORKE V5 Plus and after powering on press the F7 to bring up the boot menu. Select the USB option and then let Chromium OS boot. 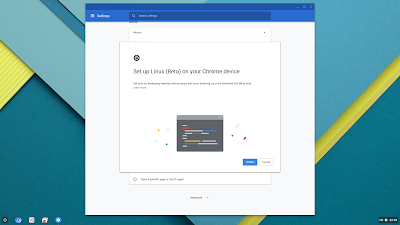 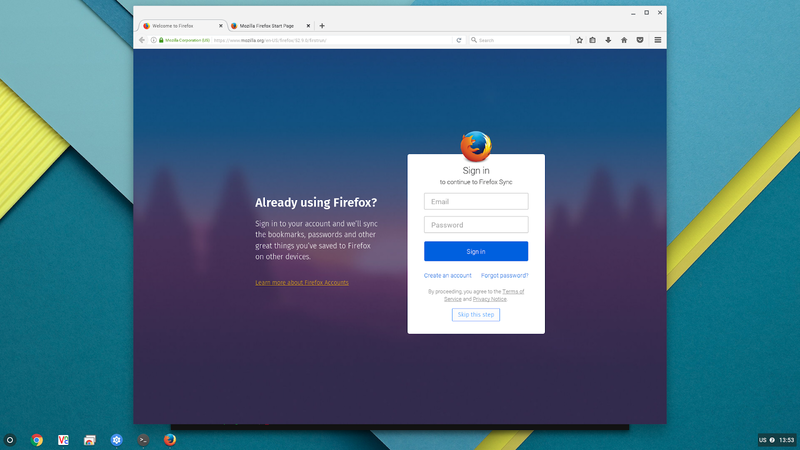 Google will then ask for your account username and password and Chromium will then be reconfigured to your default layout. 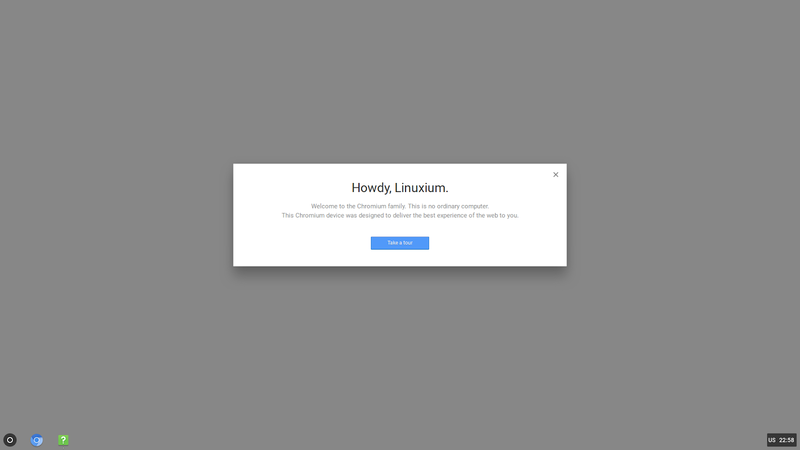 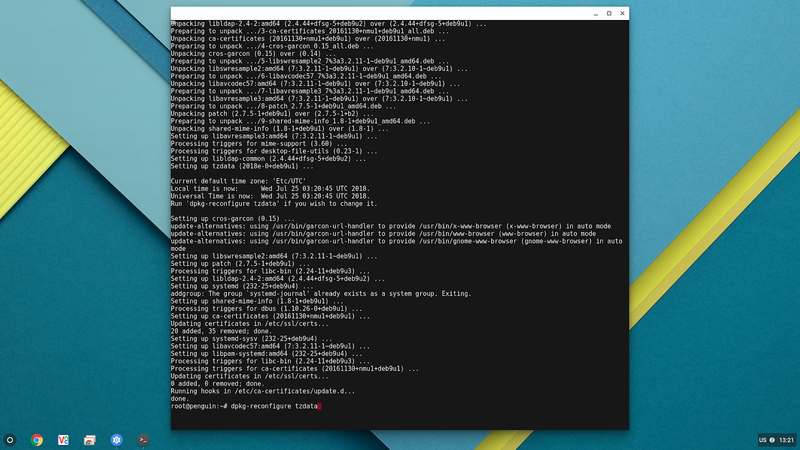 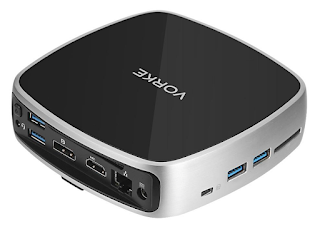 As it is not possible to try Crostini on the LiveUSB because there is insufficient storage (in order to minimise the size of the download image) first you need to install Chromium OS to the device. 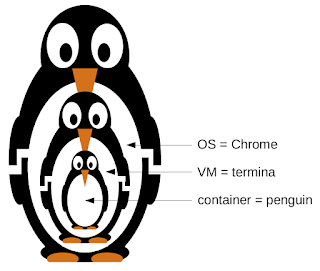 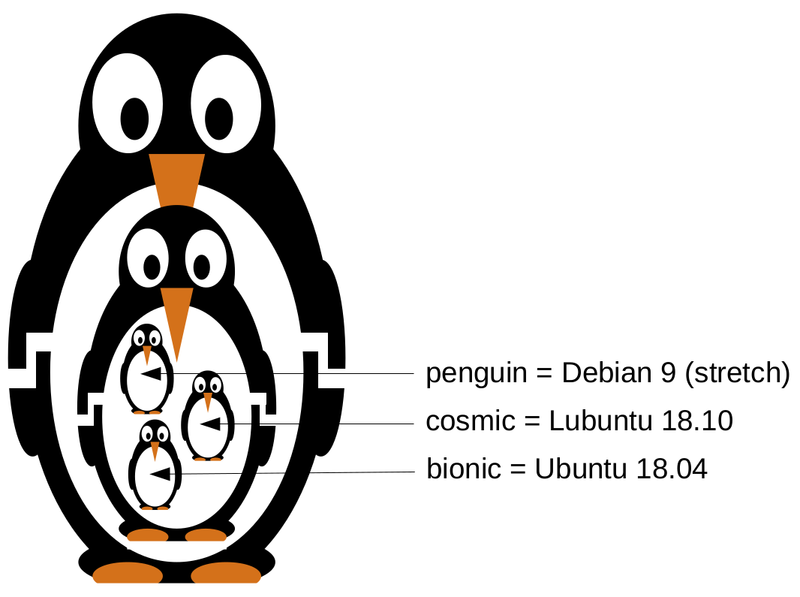 Warning: This will overwrite everything on the device including any installed Window or Linux OSes. 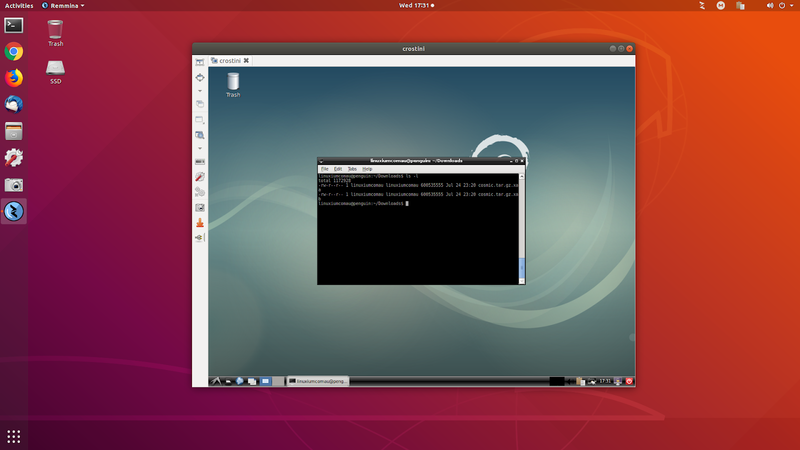 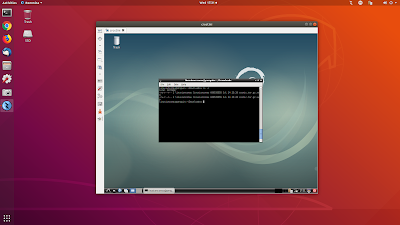 Once installed reboot having removed the LiveUSB. 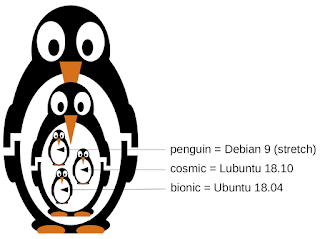 Please donate if you find this software useful using the following link http://goo.gl/nXWSGf.